Koneko Cat Cafe is NYC’s first true Japanese-inspired cat cafe. The cafe will serve coffee shop foods and beverages during the day and transform at night into a tasting menu and sake bar for the LES evening crowd. 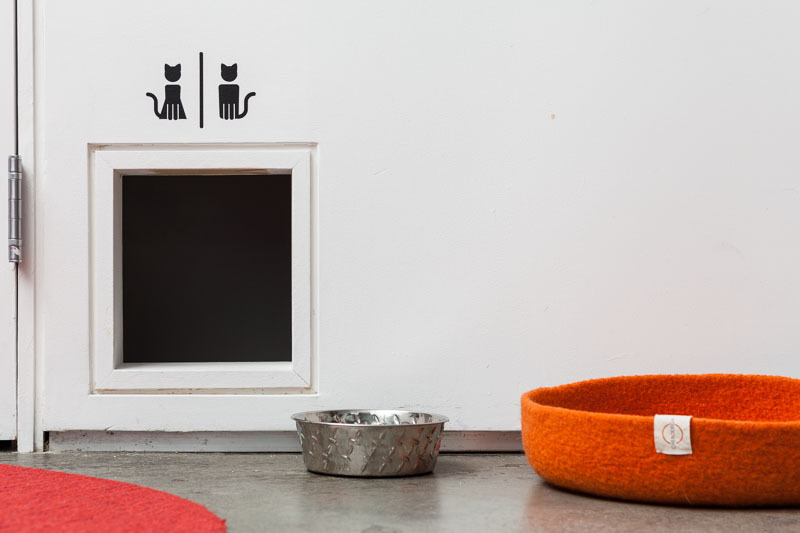 The cattery lounges are a series of bespoke spaces dedicated to our adoptable feline hosts and we will have the first ever open-air backyard cattery. Throughout the space artworks by famous painters and photographers will be for sale with proceeds going to local cat adoption agencies and shelters. Working on a tight budget and schedule, CO-Office and TW2M Design Build teamed to develop the project for our client as a design/build collaboration. CO-Office oversaw all design development, interior design & equipment procurement, while TW2M Design Build advised as an Owner’s Representative, providing project management, construction management, and general contracting.